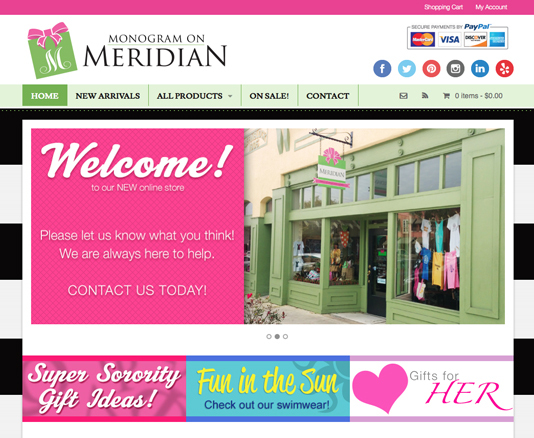 Meridian Gifts is a store located in Dade City, Florida. We had worked with them in the past for Dade City Animal Clinic. Their quaint little monogram store is doing a booming business locally so they came to us wanting to take their super cute and girly customized gifts online. We designed them a functional and clean site with all the flare of their local store. Our custom programming skills are really showcased in their products. Since everything can be customized, we wanted to make the experience of picking a product and filling out the monogram info as easy as possible.